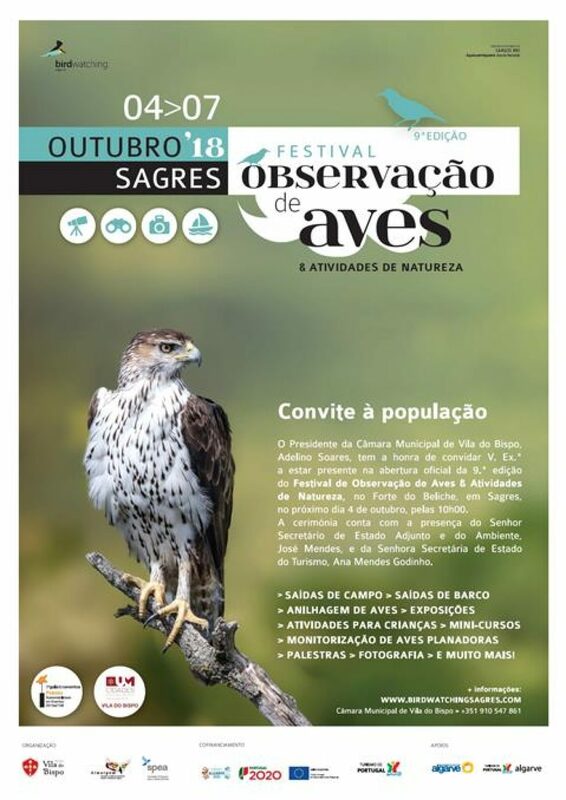 The Mayor of Vila do Bispo, Adelino Soares, has the honor to invite you to be present at the official opening of the 9th edition of Bird Watching & Nature Activities Festival in Beliche Fort in Sagres, on the 4th of October at 10h00. The ceremony with the presence of the Secretary of State Assistant and the Environment, José Mendes, and Madam Secretary of State for Tourism, Ana Mendes Godinho. > LECTURES> CAMERAS> AND MORE!